Just a cheap seafood mix I used for soondubujjigae. Posted on Saturday, March 8th, 2008 at 10:38 pm. Last updated on February 23, 2013. Posted December 21st, 2009 at 6:21 pm | Log in to reply. Hi! 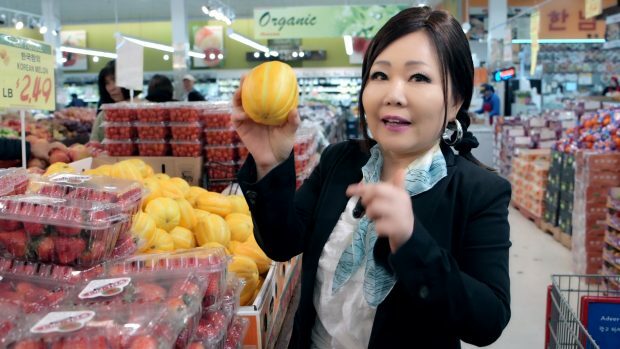 First, I want to tell you your website changed my life because, not only is my mother Korean and I missed Korean food, but I also learned so many cooking techniques by watching your videos and also watching my friends and applying what I’ve seen you do. It’s so interesting and exciting! 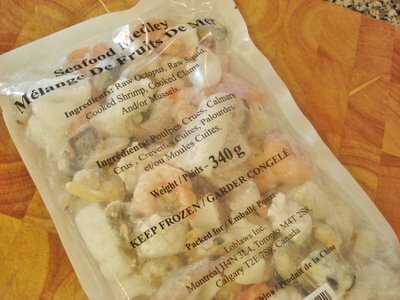 I wanted to suggest to you, though, to recommend or even mention a different source of this seafood medley on your website because most of the companies that sell these sorts of inexpensive seafood products are also destroying the ocean with unsustainable fishing practices by countries all over the world. I know it’s a little strange to ask this to you, but I believe you have a respectable business and website. Many people think very highly of it, including me, and I wonder if you would agree that is responsible not to promote the selling of unsustainable and environmentally damaging products. Of course I know it is all based on availability and affordability, but I feel it is worth raising awareness as much as possible and to make the sacrifice for the sake of the world we live in. Posted November 19th, 2009 at 12:14 pm | Log in to reply. gracias!!!!!!!!!!!!!!! thanks for your help. What Korean’s used to eat for breakfast???? Posted April 13th, 2009 at 2:13 pm | Log in to reply. i was thinking if is it any substitute? Posted April 13th, 2009 at 7:46 pm | Log in to reply. of course fresh seafood will be better.